Merry Christmas Mickey! Where is Mrs. Clause, oooops, we mean Minnie? 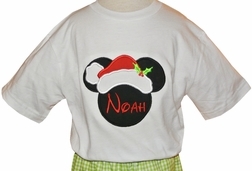 Cute Disney applique with Mickey wearing Santa Clause's hat decorated with Mistle Toe. 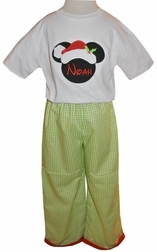 Perfect for a Christmas Disney visit.